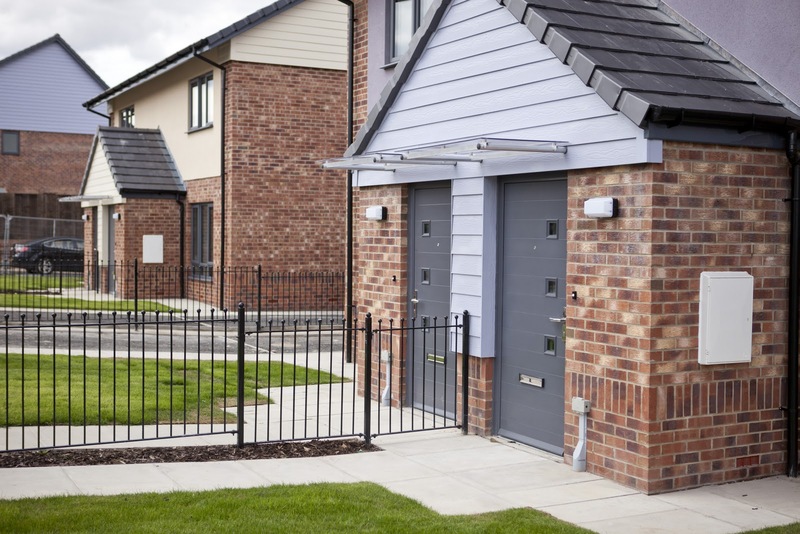 Door-sets from Manse Masterdor with U-Values of 1.0W/m2K are being fitted into one of the UK's biggest ever "Zero Carbon" social housing developments. Part-funded by the Homes and Community Agency (HCA), the two, three and four-bedroom homes will use a ground-breaking combination of energy saving and carbon-reducing features including mechanical ventilation and heat recovery systems, photovoltaic panels, and grey water recycling. Jeremy Gaffney, Supply Chain Manager at Bramall Construction, said: "This is a very exciting code 6 development with a very high specification. We chose Masterdor because they offer a high thermal efficiency and excellent air tightness product. This has a positive impact on reducing fuel bills and minimising CO2 emissions. The Masterdor has the added benefit of looking great and is available in a wide choice of styles and colours, which is really important to the social housing residents and clients." For further information about Manse Masterdor visit www.masterdor.co.uk.